I hold the title of “Deputy Lieutenant of Essex” this is a “lifelong title” given to me by HM the Queen. The deputy lieutenant is Her Majesty's representative and consequently it is my first and foremost duty to uphold the dignity of the Crown. 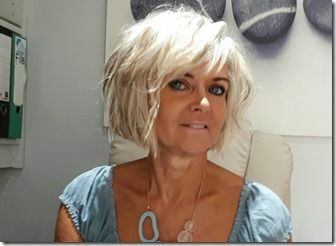 Susie Cornell trained at Derby General Hospital in 1994 in clinical ecology and has also trained as a therapist and lecturer in reflexology, aromatherapy, nutrition, and sports injury. She has lectured at Sussex University to ION graduates in nutrition and autoimmune conditions. She has also owned and run a health and fitness club and received the Health Club Of The Year award in 1998. She also received the Lifetime Achievement award from the fitness industry for introducing exercise to people with mobility problems. I hold the title of “Deputy Lieutenant of Essex” this is a “lifelong title” given to me by HM the Queen. The deputy lieutenant is one of her Majesty's representative and consequently it is my first and foremost duty to uphold the dignity of the Crown. I trained at Derby General Hospital in 1994 in clinical ecology and trained as a therapist and lecturer in reflexology, aromatherapy, nutrition, and sports injury. I have lectured at Sussex University to ION graduates in nutrition and autoimmune conditions. Together with my husband we owned and run a health and fitness club and received the Health Club Of The Year award in 1998. I received the Lifetime Achievement award from the fitness industry for introducing exercise to people with mobility problems. My own health condition led me into highly scientific state-of-the-art bioresonance technology equipment, designed to assess the body's reaction to various minerals and toxic substances this enables me to help people balance their health naturally, either coming into the clinic or from distant consultations. I am an ambassador for this global company and a highly experienced bioresonance consultant. I am an author and have produced two exercise videos for people who find it difficult to exercise. I am also an ambassador and member of court for the University of Essex. 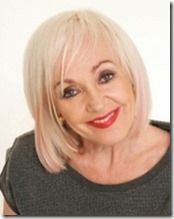 In 1989, Susie received Health Achiever of the Year award from a national health magazine. This was because she was the first British adult to go to the world famous Peto Institute in Hungary and bought back the first exercise programme that helped people with multiple sclerosis. Her work and personal experience of managing her own health conditions were televised in a documentary series in 2001 on the Discovery Health Channel. 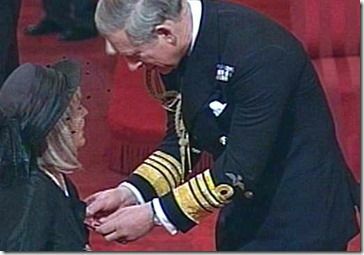 She was also awarded an MBE by the Queen in 2007. This was provided to Susie for her work carried out with multiple sclerosis. Susie has written a book to help people manage Multiple Sclerosis. The Complete MS Body Manual has been produced into exercise DVDs. The MS Home Exercise Programme that helps people with MS and Mission Ability Exercise, which is for those who find it difficult to exercise. The book, 50 Over 50 that she features in is a unique and extraordinary book. Susie's story sits between women, such as the world's first Spitfire pilot, the original calendar girls, and the Hollywood actress Susan Sarandon. She has also worked with a Harley Street Bio-engineer and trained under Dr Paul Sherwood, a Harley Street back specialist in the natural treatment of back and general health conditions. Working with The Cornell Centre for more than 17 years, Karen Downing is the clinic’s assistant bioresonance consultant. In addition to arranging consultations, she offers advice to clients on the best supplements, vitamins, and minerals that they would need to take in order to make the most of the clinic’s services. Tuesday – Friday, 9:30 a.m. – 4:00 p.m.